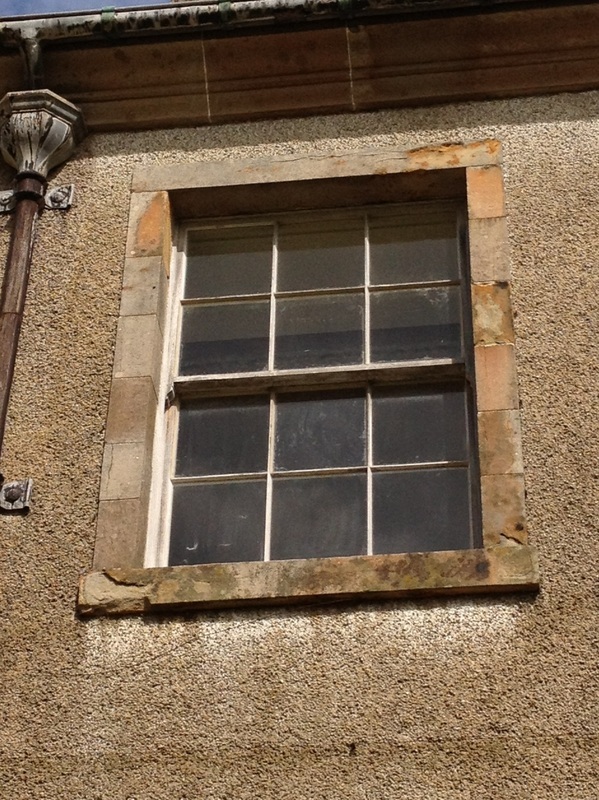 This job involved, probably our must challenging stone repairs to date. 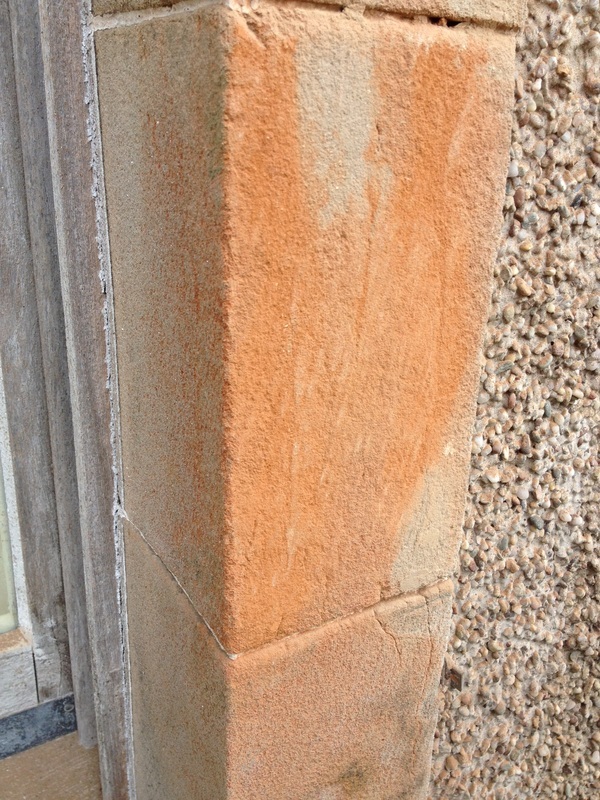 Every window stone surround on this elevation had lost at least some of its surface detail, and most had lost over half. 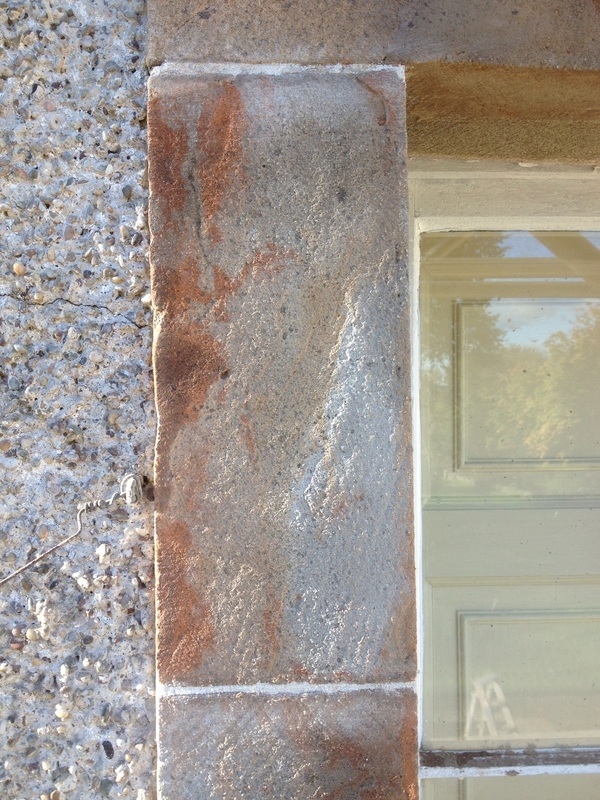 The challenge came in matching the multitude of complex colours and patterns in the surviving stone work and the delaminating stone we had to remove, giving an authentic finish. 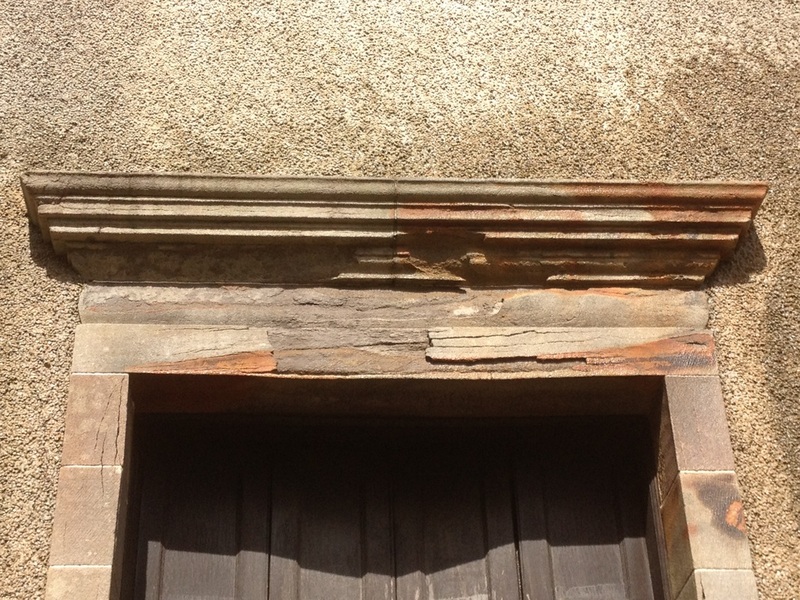 Below is the main porch at the front of the house. 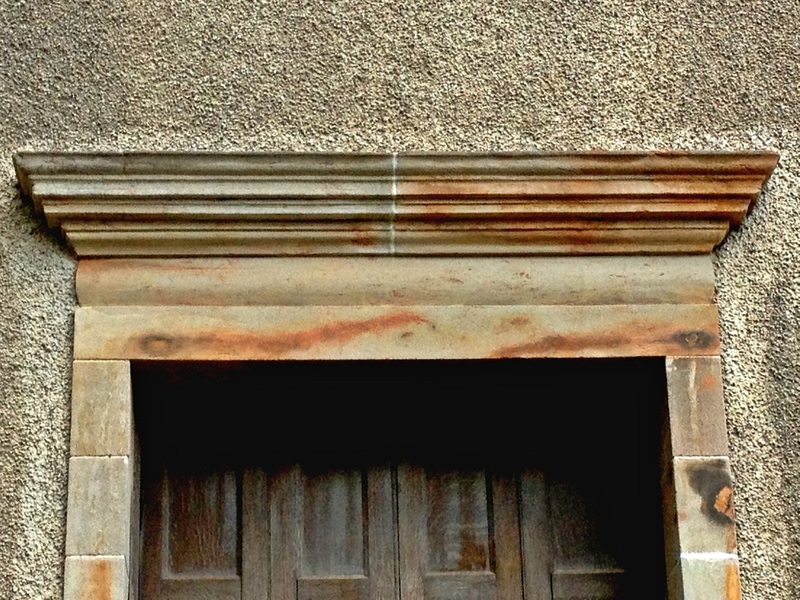 This is a good example of the combination of technical skills involved, in the shaping and lines of the mouldings, and the artistic skills required with the colours, patterns and textures of the Lithomex. 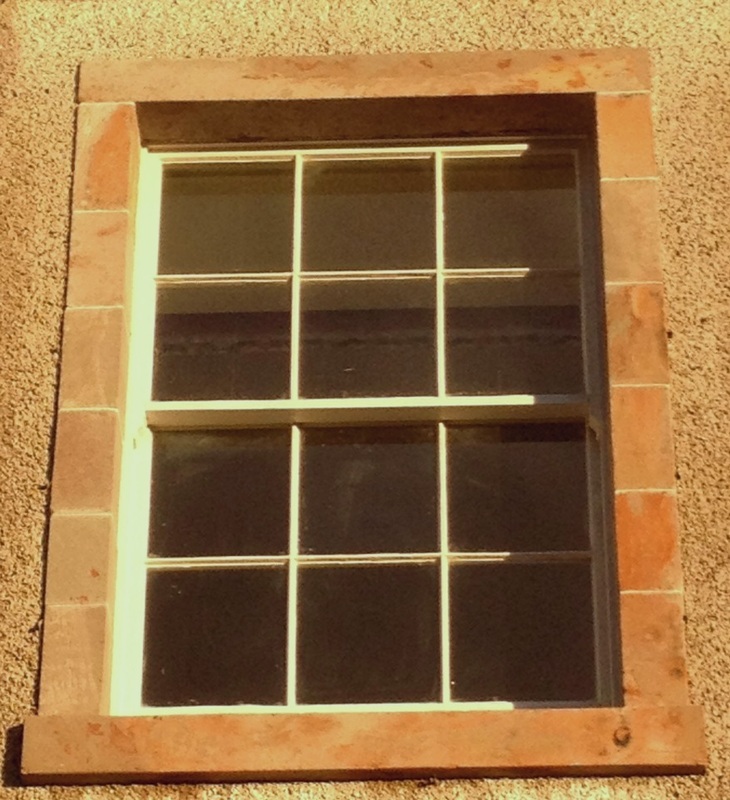 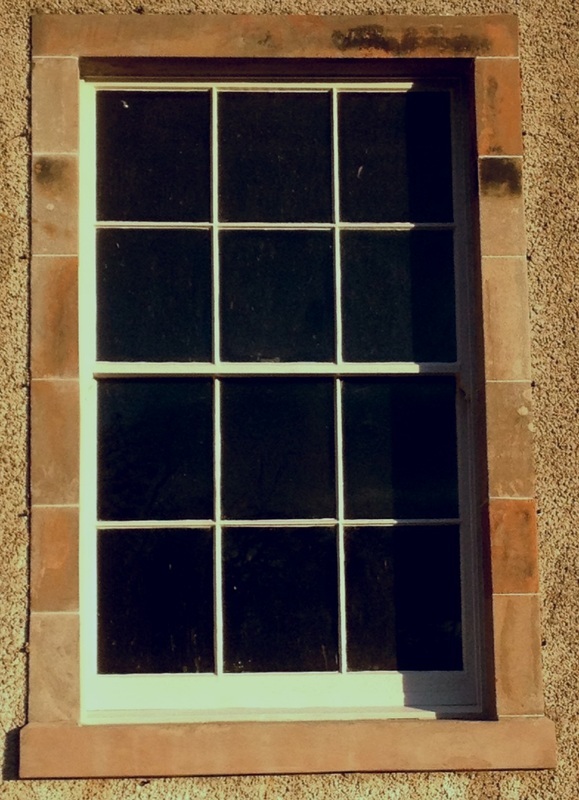 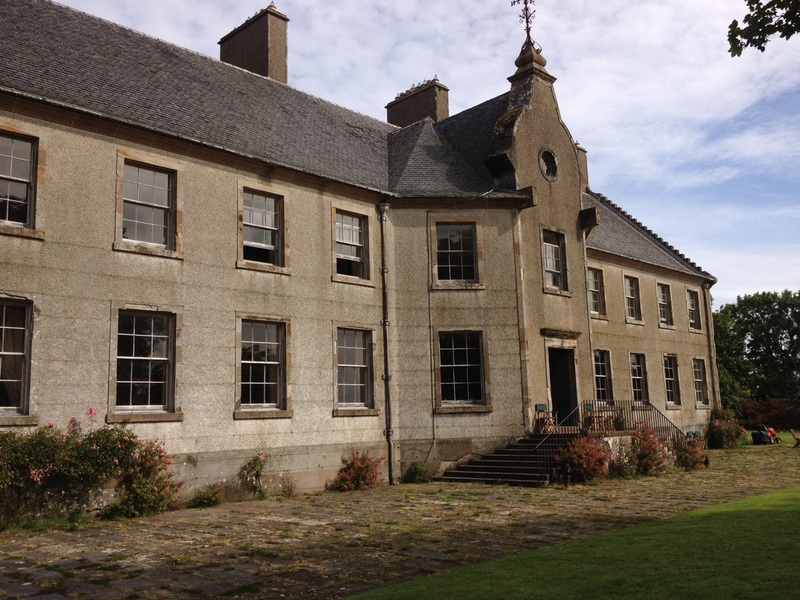 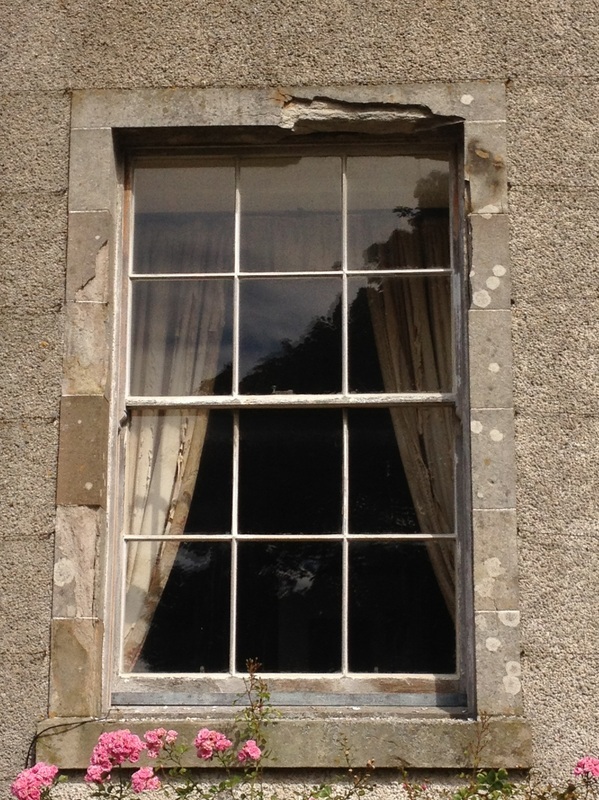 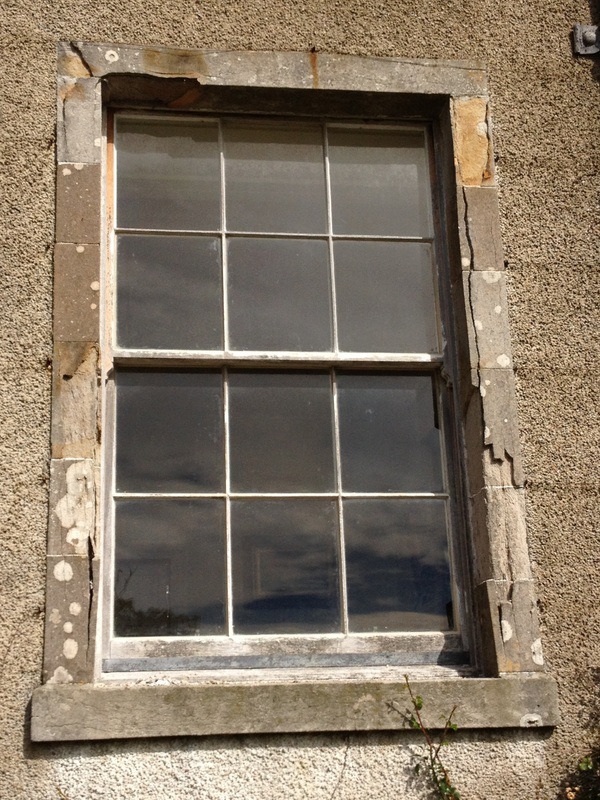 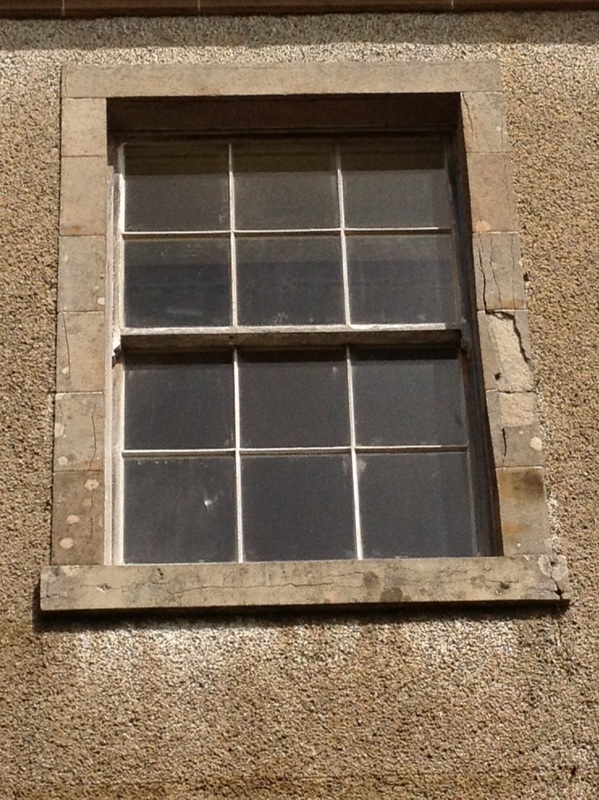 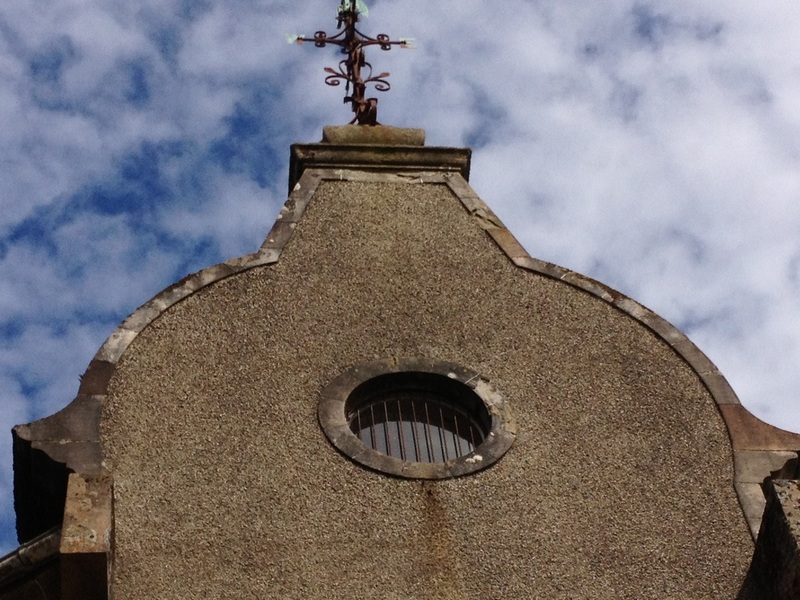 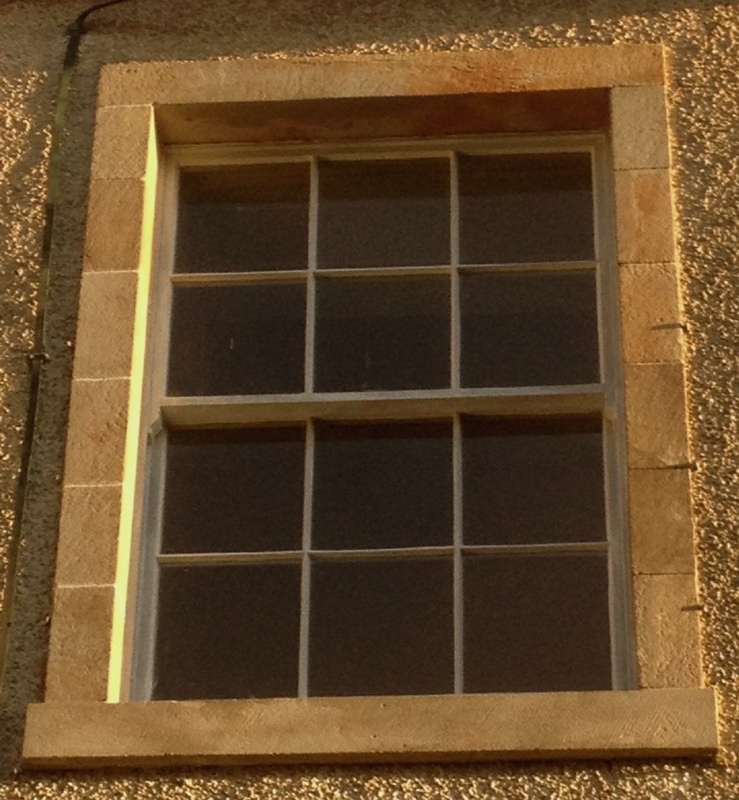 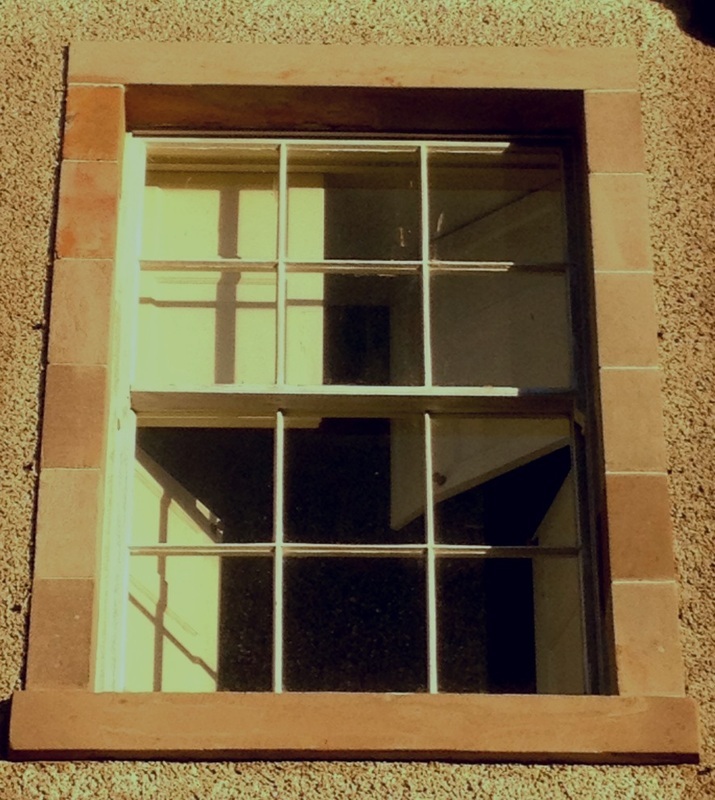 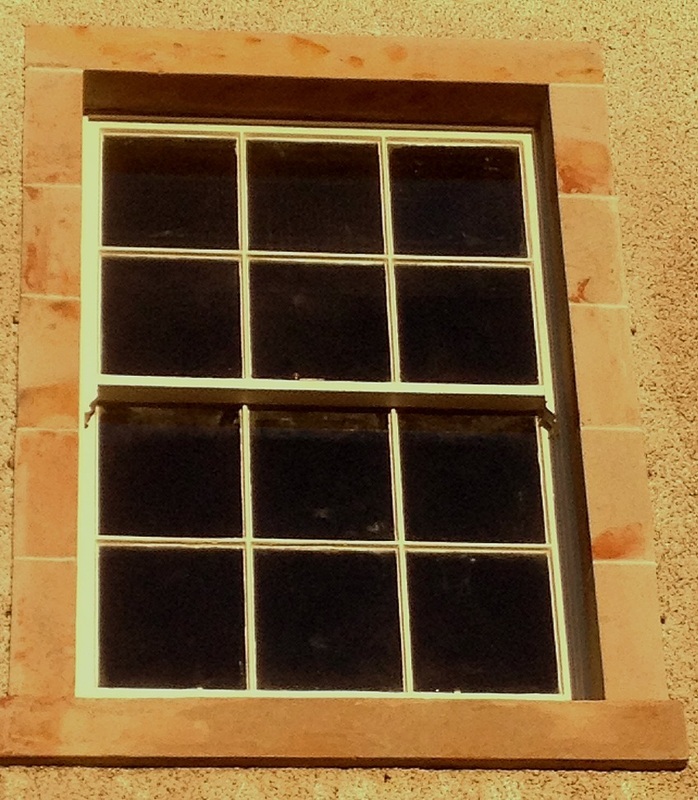 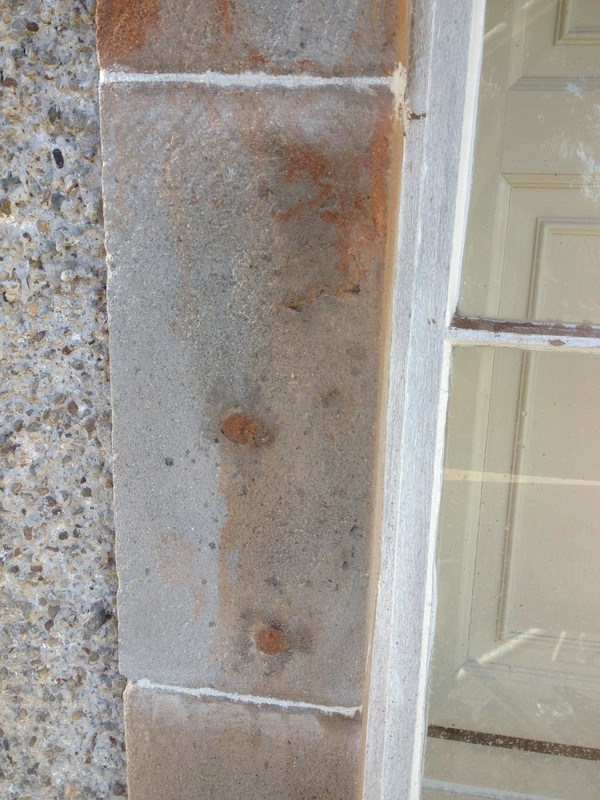 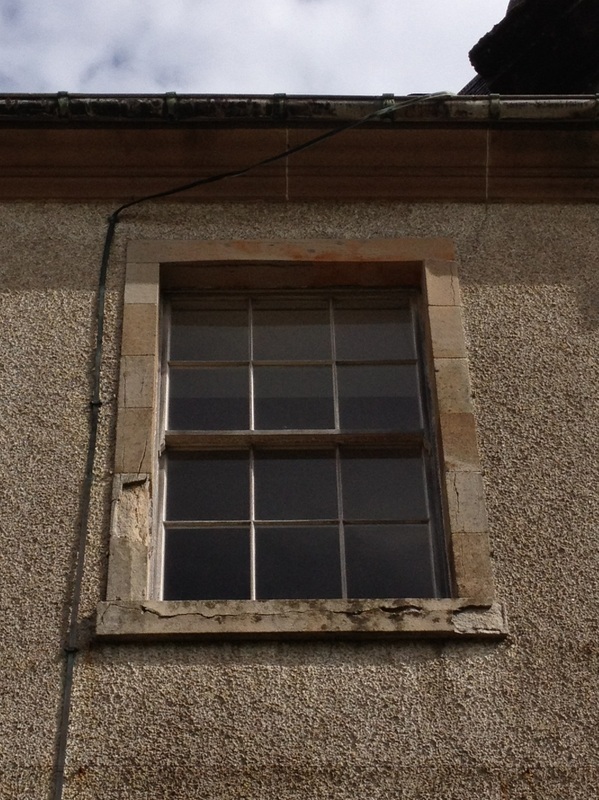 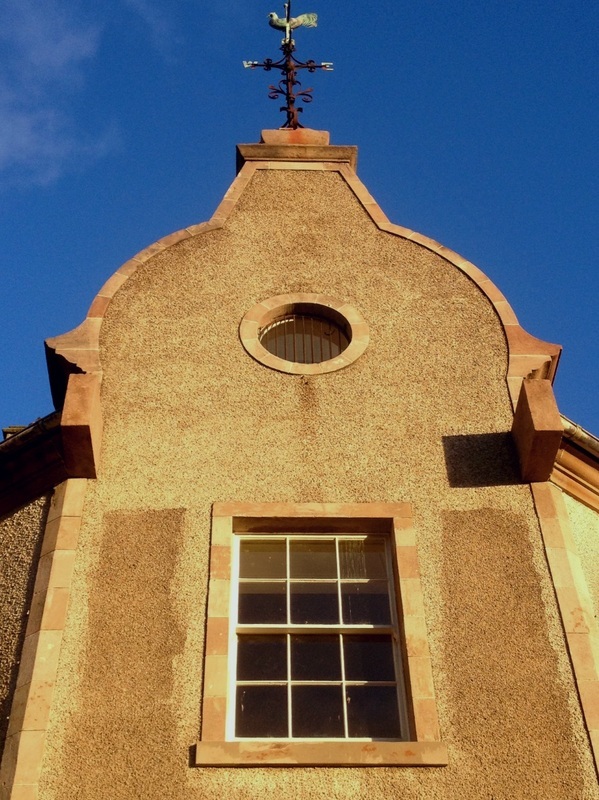 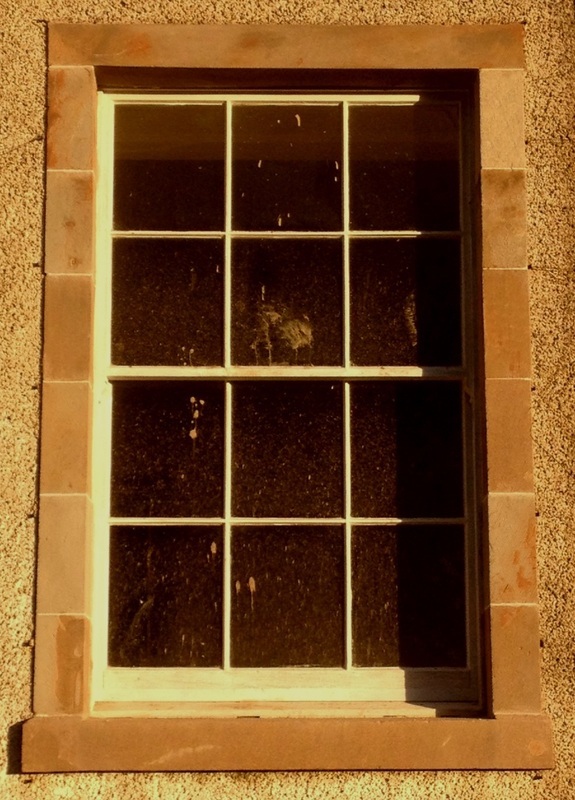 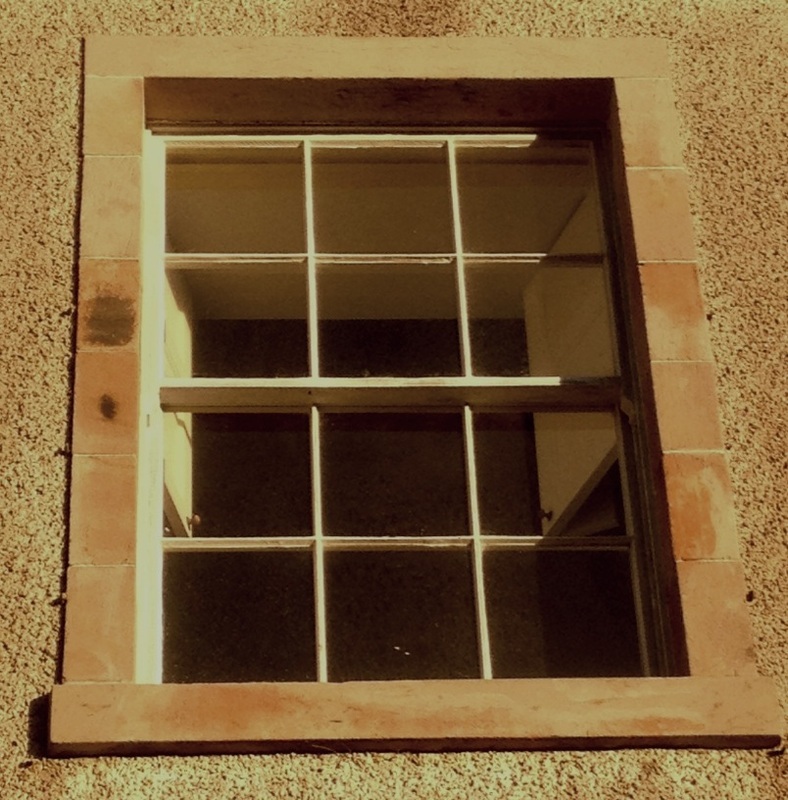 Below is a selection of windows before cleaning and restoration and some afterwards . 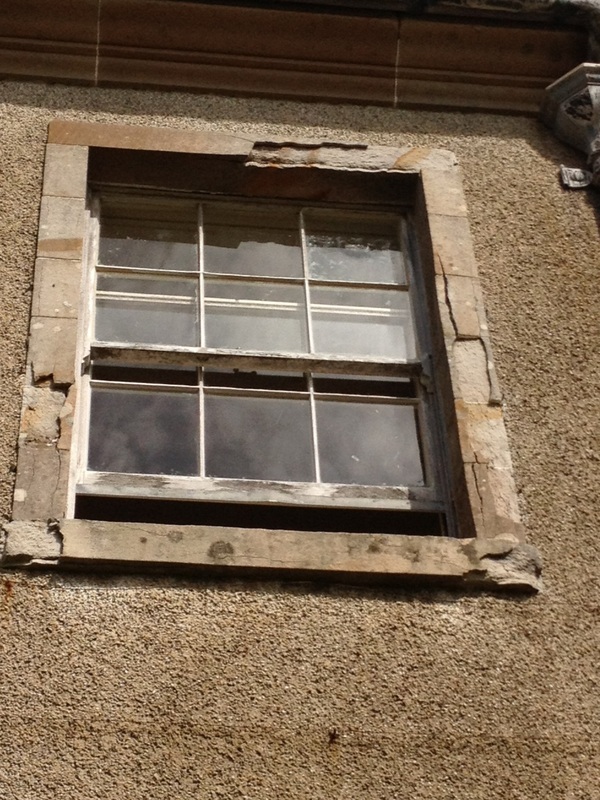 We can't be sure that they are the same windows top and bottom, because there were so many, but most windows were in the same state of disrepair before work commenced. 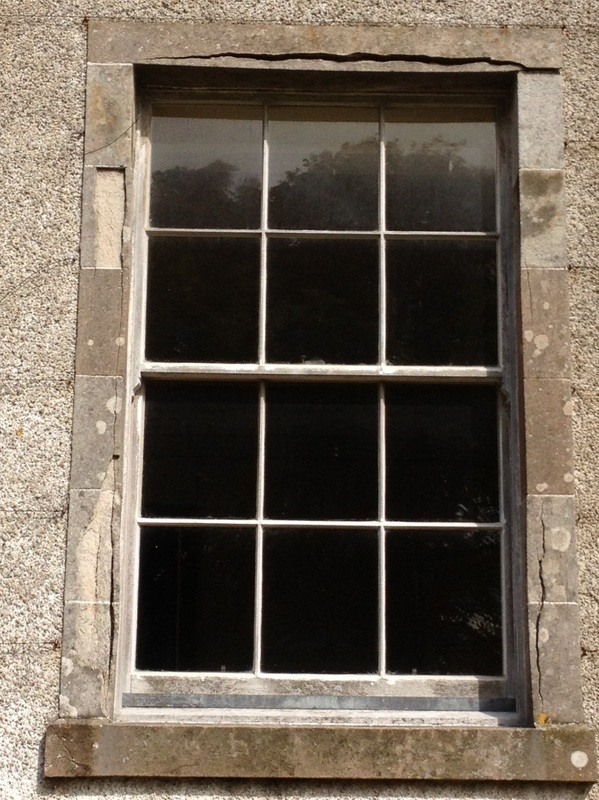 This is the central section of the house above the porch, before and after work. 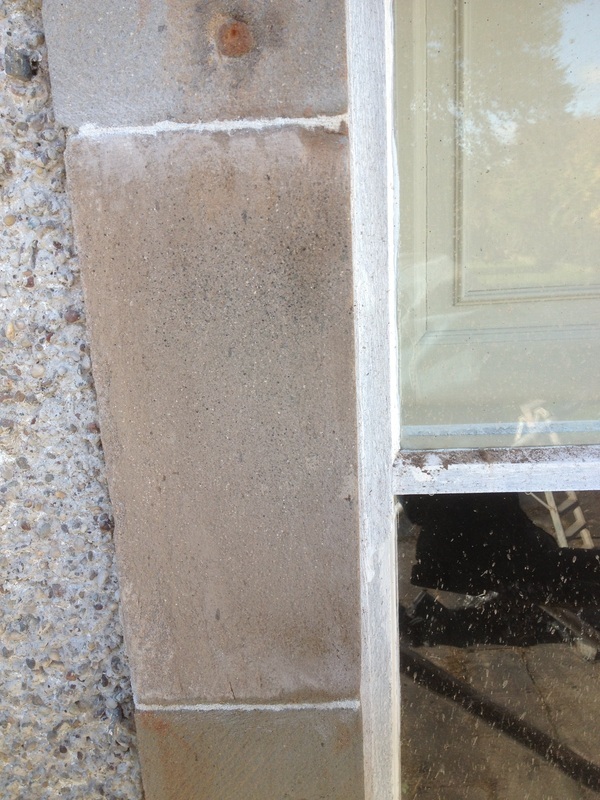 Finally, below are some close up photos of individual repairs. 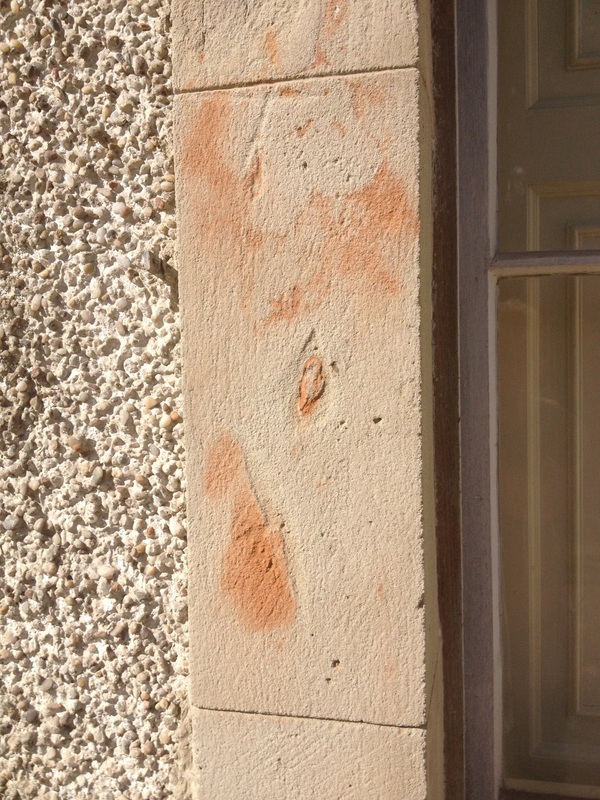 Each face here has been completely resurfaced with Lithomex in various colours, patterns and textures.